Fall is in the air in the Northern Hemisphere, and the leaves are slowly starting to show signs of changing. Here’s to many more golden moments! Golden, but too soon gone. We are feeling a slight touch of fall here in Central Florida also. The rain has passed through our area completely, Maxi. The much cooler temps are blowing in as I type. I think the highs are in the 70s the rest of the week. Aaaaaah. 🙂 Blessings to you. That’s next on our Netflix!!! Oh but I read that book many, many times. I love that it is on Netflix. I need to read the book again… for the 20th gabillion time. Beautiful…and you probably can guess I know (and love) that line well! Isn’t there a cheesy song at the end of the movie? Can you hear the music playing in the background? Gosh. Is it a Stevie Wonder song? The book was awesome. I didn’t realize she was a teenager when she wrote the book. Yes! I remember that song! It was almost 70s esque. I read Rumblefish in 7th grade…wasn’t that her other book? I read it specifically because our teacher told us she was not too much older than us when she wrote it. A cool front is blowing in this evening, and tomorrow it will not get out of the sixties, so they say. I’m going to take a long walk and love it. Autumn is my favorite season. I like your picture. Autumn is my favorite season, too. 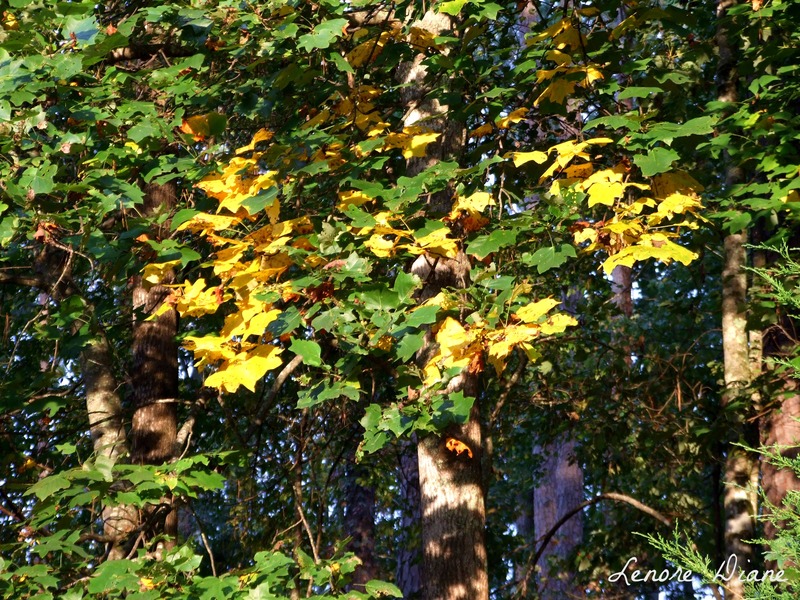 I love the crunch of the leaves when I am walking, and the blue sky is so crisp and clear. I hope you had a nice walk. I’m glad you liked my picture.